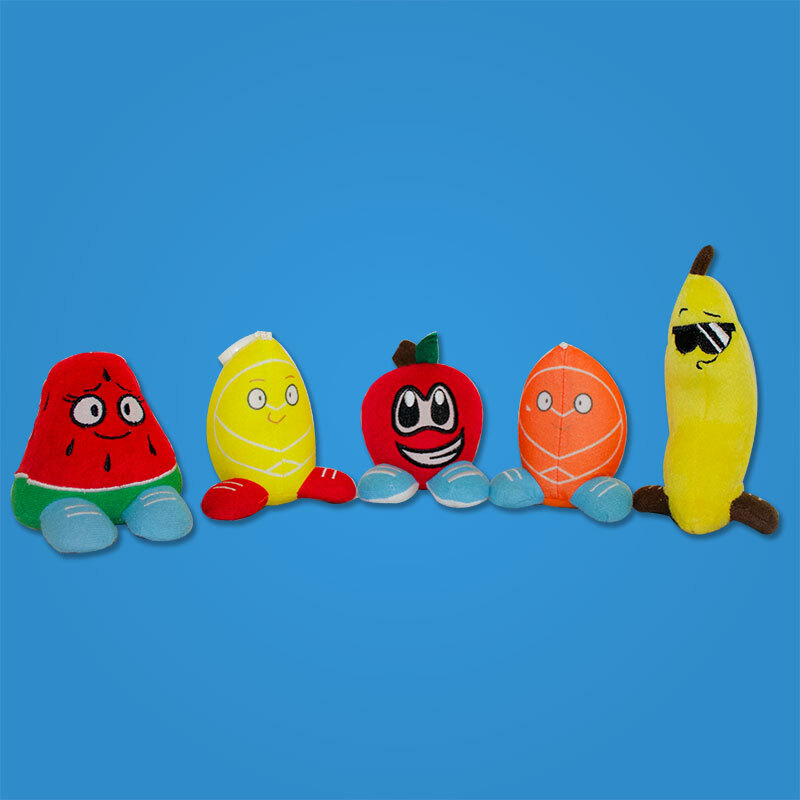 Hand made, 3 inch apple scented freshener/toy. Made for ages 4+. Appropriate for backpacks, cars, lockers, gym bags etc. Anywhere apple scented goodness is appreciated. Have you ever been to a fruit-musement park and ridden the craziest roller coaster ever!?! If so, how about so many times until you juiced? If not, hang out with Ap’zal for a squeeze or two, the experience won’t be much different! Ap’zal is ninety-nine percent fruit and one percent nuts (but only in caramel season). He is certainly the wildest Lil’Fruityz to have ever juiced his way through Main Squeeze Elementary! With Ap’Zal being born on Fruitz Island right outside the city, the environment he grew up in was small and extremely friendly. If you think Ap’zal is crazy, you should meet the core of his family. Every holiday season when Ap’zal and his family head up to the orchards to celebrate, they invite many of the Lil Fruityz to come along and let the Bottumz family show them a wild time! The costumes and traditions Ap’zal inherited from his family gives him the greatest reason to share them with all of his fruity friends! Always coming out of nowhere, Ap’zal is a loud fruit with a lot to say! 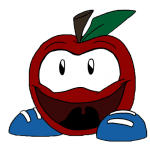 He may not say everything at the right time, but if he has to say it, this apple is going to say it! (Or most likely shout it!) With Ap’zal’s enthusiasm and encouragement, the Lil Fruityz thrive! His non-stop motor always pushes the Lil’Fruityz to catch their dreams of juicing at the highest level, and also makes them squeeze with 100% effort all the time!. He may be crazy, but he sure isn’t lazy!